The Home for FightMND is now open for inspection! On Saturday 2nd March large crowds gathered along Newgrange Boulevard in the Meridian community to view the Home for Fight MND, which was officially opened to the public for the first time. 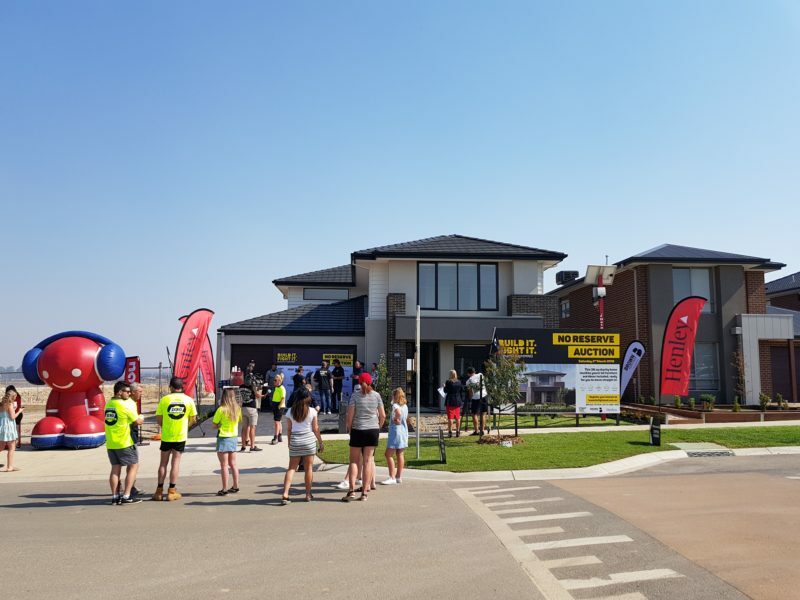 Neale Daniher and representatives from FightMND, Brown Property Group and Henley Properties were all in attendance to welcome a long list of local residents and potential buyers to the home. With a large media contingent, as well as a coffee cart and the NOVA casanova’s the crowds enjoyed the festivities that helped kick off the home inspection campaign. This stunning home is the result of a significant team effort from Brown Property Group and Henley Properties, coupled with the tireless commitment and generosity shown by the trades and suppliers who volunteered their products, services and time to create the stunning new family home. The home on display is the impressive Emperor 38 by Henley, which, at 38 squares features 4 expansive bedrooms, 5 spacious living rooms. And just to top it off the home comes fully furnished thanks to the generosity of guest furniture. To top it off the home will be sold with a new Toyota Corolla Ascent hatch in the garage! This home is truly unique and is ready for one lucky family to move in and call it home!